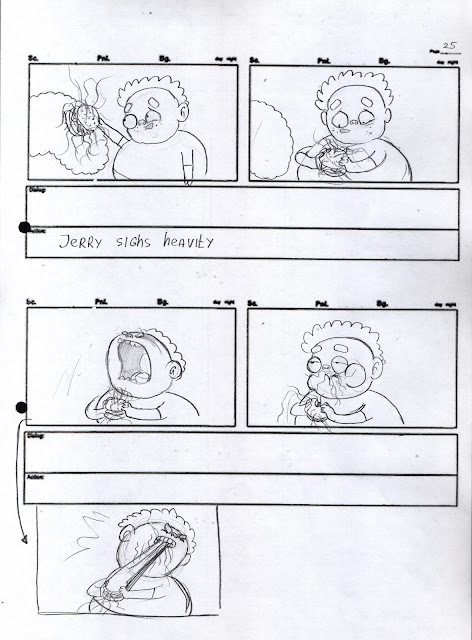 Several new pages of the beatboard "Enter the Beardman", which I develop for a special program GO! Cartoon of the Frederator Studio! 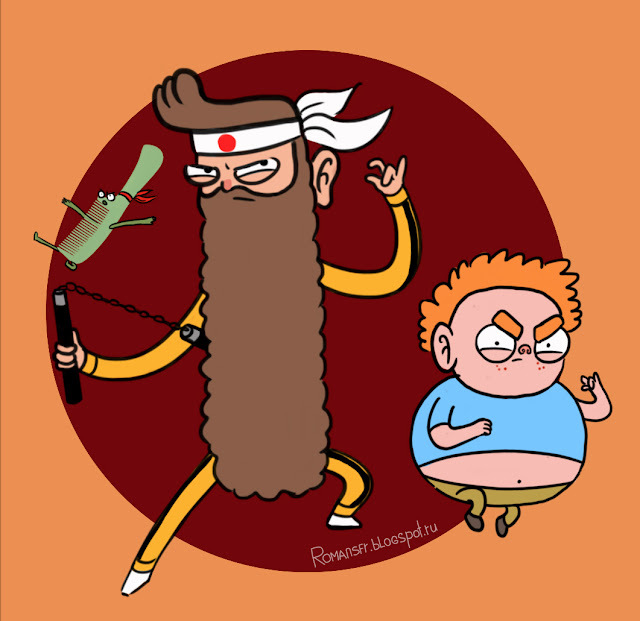 Chuck is an unusual guy with the longest beard; he is the ultimate Bruce Lee fan, and just like his hero is determined to save the World from Evil and help the weak! Chuck is good at Kungfu. He has a sidekick – his comb – Aaron, who lives in Chuck’s fuzzy and comfortable beard. Here you can see the first (incomplete) part!